Trump Couldn't but maybe Murphy can? Trump Couldn’t but maybe Murphy can? Trump Couldn’t but maybe Murphy can? Almost 30 years ago, businessman Donald Trump brought a lot of hope to Atlantic City after buying 2 casinos. And as you know, all of this was in vain since both venues closed down a decade after opening and created an adverse domino effect across town. After the Trump era, it sure seemed that nothing could rejuvenate Atlantic City. Well until, Governor Christie had the bright idea to legalize online gambling. Which of course brought some much-needed money to the capital. But yet didn’t bring more foot traffic into town. 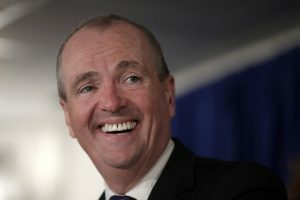 Now it seems that Murphy may have found the solution and it comes in the form of Sports Betting. And perhaps the new bill will bring the foot traffic the boardwalk once knew in its glory days, many hope so it seems and here’s why. By legalizing sports betting New Jersey first estimated to pull in between $12 million to $17 million in tax revenue for the first year. These figures were based on 28% uptake by the population. But, a recent Gallup poll in June showed that 69% of Americans think that gambling is morally acceptable. And as New Jersey has been an epicenter for gaming for years, it’s fair to say that Citizen of Atlantic City will have no problem to adopt the introduction of Sports Betting. And will of course venture in town to place their bets, since at the moment no online casinos offer sportsbook. Sure, Sports Betting makes the mass walk, and it’s certainly going to drive out of state tourism. But, is it going to be the new hot attraction? Maybe, we most definitely see more traffic in sports lounges during sports weekends. So, all signs point to a successful strategy by Murphy! But the bottom line is that it also takes good entertainment, gaming conferences, and new restaurants, to bring people to town. So it’s likely that Murphy will reap the credit for what is a collective effort! Only time will tell.